1. What level of sign language should I take from ASLS? That depends on how much sign language you currently know. If you are a beginner, then start with 101. That will cover chapters 1-6 of the “ABC ASL” textbook plus fingerspelling and numbers. The 201 course covers chapters 6-11 of the “ABC ASL” textbook and continues work on fingerspelling and numbers. 301 teaches chapters 11-16 of the textbook, and 401 covers chapters 16-22. The 501/601 course focuses on the grammar, structure and rhetoric used in American Sign Language (ASL). 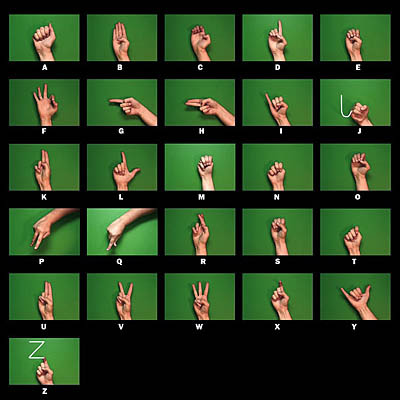 701 is the Deaf Culture course, and 801 is a conversational ASL course. Courses 1001, 1101, 1201, 1101/1201 and 1301 are interpreter level courses. Note that 1001, 1101, 1201 and 1101/1201 are not usually offered. They are practicum level courses which must be repeated several times in order to prepare a student for the state interpreter certification exam. Course 1301 is offered on-line only. 2. If I take sign language from ASLS, when can I become an interpreter? It may take several years before you develop the skills you need to become an interpreter. ASLS classes will help prepare you to be an interpreter but ASLS does not provide interpreter certification. Until you have interpreter training and certification, you should not provide interpreting services in the community or schools. 3. What is required to become an interpreter for the deaf? Either state (HHSC ODHHS) or national certification (RID) as an interpreter is required. There are multiple levels of certification available through these organizations, and you should check their web sites (included in Links section) for more information. 4. How will I be able to understand a deaf teacher in ASLS classes? Teachers who are deaf are very experienced communicating with hearing students. They are quite adept at making themselves understood, so students should not be concerned. 5. Will I learn American Sign Language (ASL) only or will I also learn some Signed English (SE)? You will learn primarily ASL but you will also be exposed to some Conceptually Accurate Signed English (CASE). The 501/601 course teaches only ASL and will not include English signs. 6. How long does it take to become fluent in sign language? Usually several years, with regular instruction and use. This varies from person to person. 7. If my son/daughter takes sign language from ASLS, will it count for high school foreign language credit? ASLS classes do not count as high school foreign language unless the student/parent has gotten these courses approved to count by the local school district and high school. ASLS is not accredited. There are specific requirements for state high school credit, and it is up to each parent/student to work with their respective school district regarding this. ASLS does not make application for this with districts as that is a parent’s responsibility. ASLS teachers do administer final exams and use established grading criteria for each course taught, and each student who passes a course is given a certificate of completion. ASLS does not provide student transcripts. 8. If I attend all ASLS classes each semester and pass the final exam for a course, what do I receive? You will receive a Certificate from ASLS.